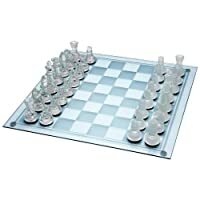 Product prices and availability are accurate as of 2019-04-18 12:48:26 EDT and are subject to change. Any price and availability information displayed on http://www.amazon.com/ at the time of purchase will apply to the purchase of this product. 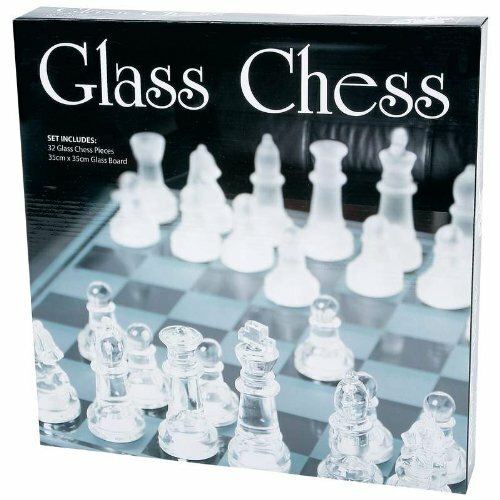 Features glass game board and 32 glass chess pieces. 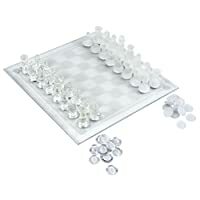 Game board measures 13-3/4" x 13-3/4". Gift boxed.